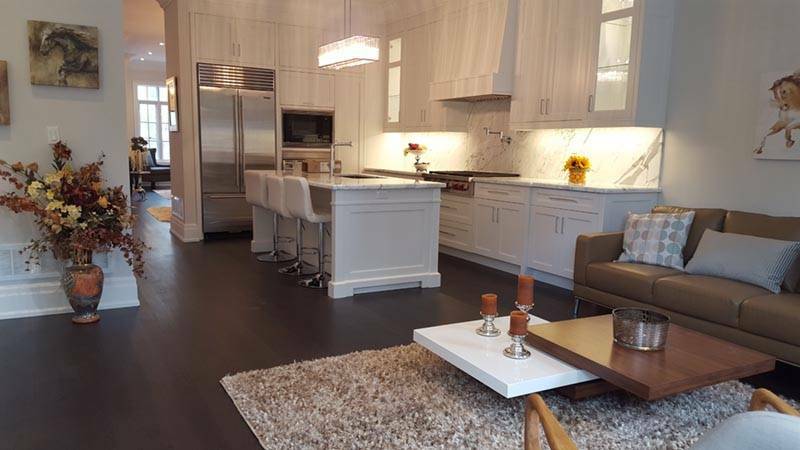 The key to Toronto home staging is to present your listing in its best light. Proper lighting makes a house feel warm, inviting and open. Simply changing light bulbs when staging a home can give a room better ambiance. Don’t showcase a dim home. 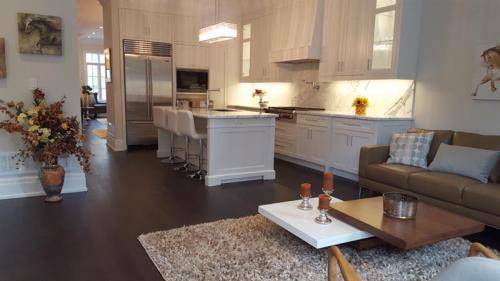 Baraka GTA Staging suggests these six bright ideas for home staging with light. Cleaning both sides of your windows is imperative. Take the screens off and clean them, too. You will be surprised how much light can be blocked by dirty windows and screens. Drawback curtains and fully open blinds to let in more light. Rest the cord on the window sill or tuck it into the blinds high up on the window. Present a clean outdoor space to enhance curb appeal and prepare for a sale. Cut back plants blocking windows, and let more light pass through your home. Clean or replace old lampshades that have turned yellow over time. Lamps add an essential source of light in home staging. They help expose home features that may be in the dark. Ambient – This is the general lighting of a room, such as a ceiling light. Task – This can be a reading lamp in the study or a back-lit mirror in the master bath. Accent – This is extra lighting for home staging such as a floor lamp in a dark room. Ensure new bulbs are placed in all light fixtures to prevent a burnout during buyer showings. Avoid using random bulbs as they can make a room look mismatched. When it’s time to photograph your home, ensure all blinds are open and turn on all the lights. Schedule photography to seize your home’s best natural-lighting moments. Some homes on the market appear dim. Use these bright ideas for home staging with light as you prepare for a sale. If you’re ready to sell your home, hire a home stager. It’s an added expense, but you might end up making more in the final sale. For professional Toronto home staging, contact Baraka GTA Staging at 416-992 9494. From room design to home improvements, our team of design will provide affordable solutions to design and stage your homes for sale! Our goal is to work closely with you and stage your home to create an environment that is a reflection of your needs, whether it is a single room or an entire house. Fast, quality service and unprecedented results! Whether you are a Realtor or a Home owner and want to sell it and get a good money. We can help you achieve your goal! Copyright © 2018 Baraka GTA Staging. All rights reserved.Website design by Cyrux Smart Solutions Inc.